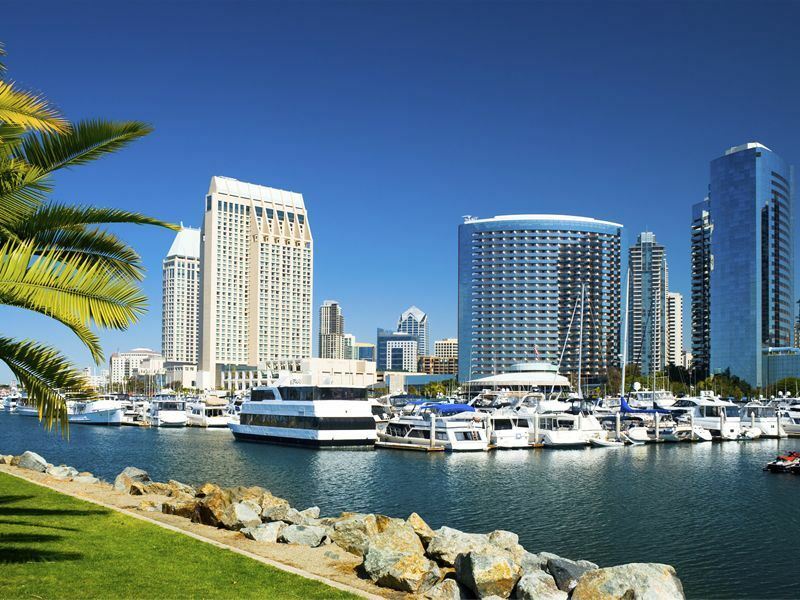 If you plan on visiting the Californian city sometime, take a look at our list of top 10 things to in San Diego to see what you’ll be up against. What: Found in the heart of San Diego, southwest of Balboa Park, the Gaslamp Quarter is a large theatrical neighbourhood just begging to be explored. Here you’ll find 16 blocks lined with Victorian-style buildings which house a huge selection of art galleries, shops and eateries, not to mention some of the trendiest night spots in San Diego. Here you can spend anything from a couple of hours to half a day wandering the streets whilst taking in the sights, shopping, dining and soaking up the atmosphere. Highlights: Barley Mash is one of the best restaurants in the area. Boasting a fun, high-octane atmosphere, this eatery celebrates the richness of American culture with an extensive and incredibly tempting menu. The Shout! House is another one of the Gaslamp Quarter’s best establishments, where you can watch two piano players/singers perform classic rock ’n’ roll hits and any requests that come in. If you want to find out more about the history of the city, visit the Gaslamp Museum, also known as the William Heath Davis House. Here you’ll find a series of exhibits, tours, festivals and educational programs which open up a window into San Diego’s past. What: The Cabrillo National Monument rises out of the southern tip of the Point Loma Peninsula and is one of the most popular attractions in San Diego. This stunning statue stands at 422 feet above sea level and depicts Juan Rodriguez Cabrillo – the first European explorer who navigated the Californian coast in 1542. As well as appreciating the monument, there is plenty of other things to do in the area, such as hiking along the two-mile Bayside Trail which is also a great place to see some incredible vistas. 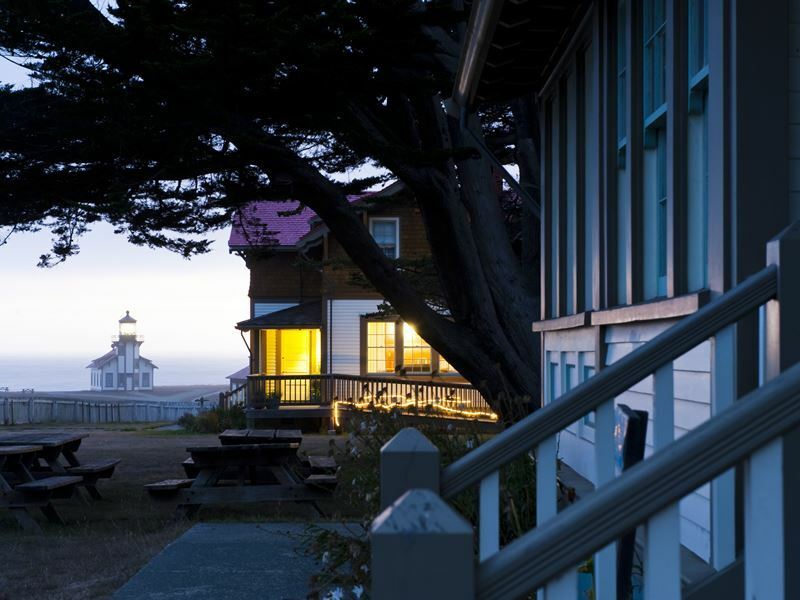 Highlights: Due to its elevated location, the Cabrillo National Monument awards visitors with breath-taking panoramic views which stretch across the Pacific Ocean. From this point between December and February it’s even possible to spot whales majestically swimming past the park as they migrate. The Old Point Loma Lighthouse is one of the eight original West Coast lighthouses and is an accurate reflection on life in the 1800's. It is one of the most fascinating sites to visit at the Cabrillo National Monument, as is the rocky intertidal area – one of the best examples of a protected aquatic ecosystem in California. What: Extending 1.5 miles along the western shoreline of the Point Loma Peninsula, Sunset Cliffs Natural Park features dramatic rock formations, intriguing caves, expansive ocean views and a native coastal sage scrub habitat. With so much to offer, this park continues to be a longstanding attraction popular with national and international visitors, as well as San Diego residents. On top of the stunning cliffs and wonderful natural scenery, the Sunset Cliffs Natural park is also home to a variety of wildlife, including small lizards, gopher snakes and more than 100 species of birds. Highlights: As the name suggests, Sunset Cliffs Natural Park is one of the best places in California to watch the sun set. Bring a picnic, lay a blanket down and you’ve got yourself the perfect romantic evening in ideal surroundings. If you’re into surfing, the waters surrounding this park create the perfect conditions to ride the waves. If you’d rather observe from a distance, there are plenty of quiet spots where you can relax and watch the surfers to their thing. What: Located within Balboa Park, the Botanical Building and Lily Pond is one of the most photographed scenes in the area. Constructed for the 1915-1916 Exhibition, the Botanical Building is one of the largest lath structures on the planet, where you’ll find more than 2,100 different permanent plants, with everything from cycads and palms to orchids and ferns. This attraction also hosts some of the most vibrant seasonal flower displays in Balboa Park throughout the year. Highlights: The touch and smell gardens are amongst the most popular parts of the Botanical Building, where you can observe chocolate, lemon and mint growing. The lily pond in front of the glass building is home to a number of friendly turtles and the orchid display is one of the biggest and best in California. What: Situated on the border of the Pacific Ocean, just north of La Jolla, Torrey Pines State Reserve is a 1,700 acre natural park which is home to a variety of flora, including one of the rarest pine trees in the US – the Torrey Pine. There is a number of hiking trails which take you all over the park, passing by the most interesting and picturesque sites. Highlights: Two of the best beaches in San Diego are found within the Torrey Pines State Reserve, Torrey Pines State Beach in the centre of the park and Black’s Beach on the southern edge. Joining a guided nature walk is a fantastic way to explore the reserve and see everything it has to offer. These walks include interactive presentations and guided tours and can be tailored to your needs upon request. What: Located in Downtown San Diego, the USS Midway Museum is a floating exhibition where you can relive almost 50 years of world history on-board the 20th century’s longest serving Navy aircraft carrier. Here you’ll be able to walk in the footsteps of approximately 225,000 Midway sailors as you explore more than 60 displays with a collection of 29 rebuilt aircrafts. Exhibitions include everything from restored sleeping quarters, officer’s country and a post office to a huge galley, engine room and the ship’s jail. Highlights: Knowledgeable guides are spread throughout the museum, each keen to share a personal tale, anecdote or fascinating fact. You’ll also find two types of flight simulators at the USS Midway Museum suitable for all ages. The Air Combat 360 can be occupied by up to two people who can make the machine roll, loop, somersault and spin as they fly through missions. The Naval Combat Mission is a group simulator for up to 12 people who get to participate in the daring Operation Desert Storm. What: San Diego Zoo and Safari Park is one of the most famous zoos in the United States and is known internationally for its huge natural enclosures. The zoo is home to approximately 4,000 different animals, from polar bears and penguins to pandas and monkeys, and you can wander around all the enclosures by following the extensive network of trails. The safari park is where you’ll find some of Africa’s most beloved species, including cheetahs, lions and elephants, all roaming freely. You can follow one of the many walking routes or play it safe on a guided bus tour. Highlights: San Diego Zoo offers a number of tours which invite you to take a sneak peek behind the scenes to see how the zoo really works. You can learn about the zoo’s world-renowned plant collection, find out how the trainers take care of the animals and explore off-limits areas. You can also meet some of the most exotic and engaging animals on the Backstage Pass tour. The Jungle Ropes Safari in the San Diego Safari Park is great fun for adults and children alike. On this challenging rope course adventure your skills will be tested to their limits as you zip, swing, climb and balance through the trees just like a monkey. 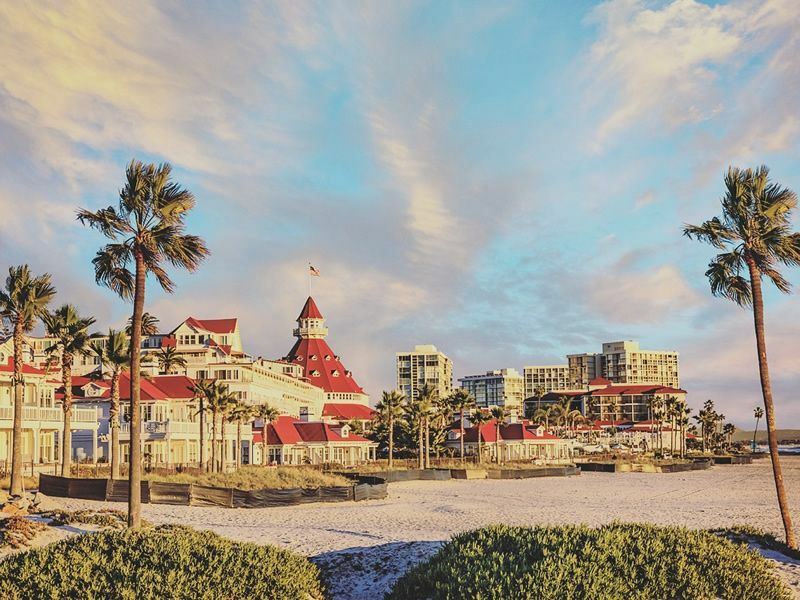 What: The Coronado beaches can be reached by taking a short 15 minute ferry ride from San Diego or by driving along the scenic Coronado Bay Bridge. Named as one of the top family beaches in Travel Channel’s beast beach award in 2012, the Coronado Beaches are divided into several sections – Central Beach, North Beach, Glorietta Bay and Silver Strand State Beach – each offering a different experience and suited to different groups. Highlights: Central Beach is ideal for families who want an action-packed day at the beach. Here you can try your hand at water sports such as body boarding, paddle boarding, sailing, wakeboarding, fishing and jet skiing. North beach is the only dog-friendly beach in Coronado and features a number of barbecue fire rings and even the Coronado Surfing Academy. Glorietta Bay offers fantastic views of San Diego and Silver Strand State Beach offers a staggering seven miles of coastline and is ideal for body boarding. What: Since it first opened in 1964, SeaWorld has become one of the most popular attractions in California, with thousands of people travelling from all over the United States and the rest of the world to experience everything that the park has to offer. Although it is the smallest of the three SeaWorld parks, the one in San Diego offers an exciting combination of water slides, theme park rides, animal interaction opportunities, exhibits and shows that the whole family can enjoy. Highlights: The dolphin interaction programme is by far one of the best aspects of the park and gives you the chance to meet, touch, feed and communicate with the aquatic mammals as you play with them. SeaWorld’s latest attraction, Manta, is something you can’t miss out on. This ride incorporates feeding and touching manta rays in a unique grotto with a ride on a multi-media double-launch roller coaster. One Ocean is SeaWorld’s all-new Shamu show and is a multi-sensory celebration of underwater life which aims to educate and inspire. A number of killer whales work together in this performance to show off their skills and the incredible bond they have with their trainers. What: Home to some of the city’s most famous attractions, Balboa Park is found in the heart of Downtown San Diego. If you’re just looking to relax, there is plenty of space to unwind, take a stroll, go for a bike ride of enjoy a picnic. With more than 1,200 acres of land, you could spend the whole day simply wandering around. If you find yourself getting a bit fidgety, there is a wealth of attractions in the park just waiting to be discovered. 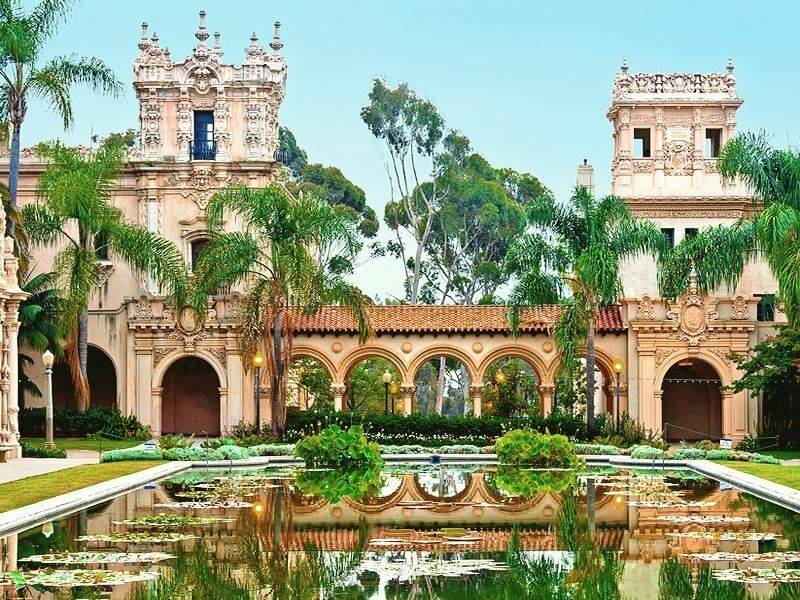 Highlights: There is a vast array of museums within Balboa Park, including the San Diego Air and Space Museum, where aviation history, space and science all unfold. This park is also where you’ll find several prestigious theatrical attractions, including the Tony Award-winning Old Globe. Founded in 1935, this theatre produces 15 plays and musicals each year. The San Diego Zoo is also located within Balboa Park, as is the California Native Plant Garden, where you can stroll amongst 2,600 different types of Californian plants.